MasteringGeography is an online homework, tutorial, and assessment product proven to improve results by helping students quickly master concepts. Students benefit from self-paced coaching activities that feature personalized wrong-answer feedback and hints that emulate the office-hour experience and help keep students on track. With a wide range of interactive, engaging, and assignable activities, students are encouraged to actively learn and retain challenging physical geography concepts. 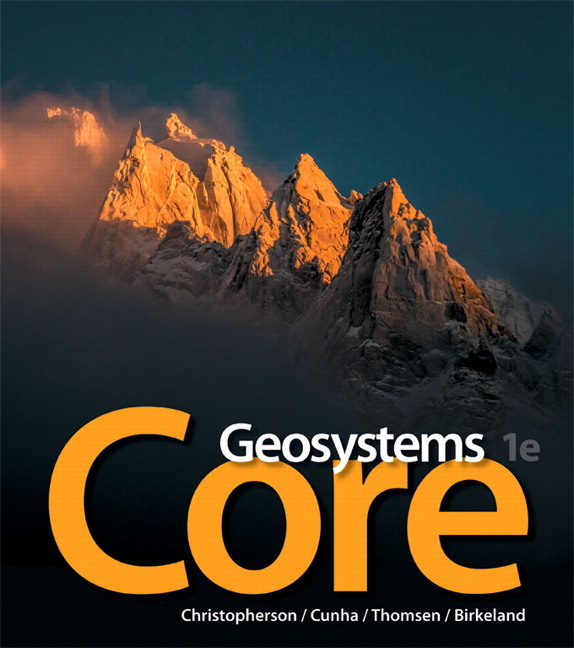 Assignable activities that include MapMaster™ NextGen interactive maps; Encounter Physical Geography Google Earth explorations; Mobile Field Trip videos; over 40 hours of geography videos from BBC, TVE, and NASA; Thinking Spatially and Data Analysis activities; GeoTutor coaching activities on the toughest topics in geography; end-of-chapter questions; reading quizzes; Test Bank questions; Geoscience Animations; and Map Projections interactive animations. Student study area with MapMaster NextGen interactive maps; over 40 hours of geography videos from BBC, TVE, and NASA; Geoscience Animations; web links; Earth Virtual Tour Videos; Mobile Field Trip videos; glossary; vocabulary flashcards; “In the News” RSS feeds; reference maps; downloadable outline maps; Pearson eText; and more. Full eReader functionality includes page navigation, search, glossary, highlighting, note-taking, annotations, and more. A responsive design allows the eText to reflow/resize to a device or screen. eText 2.0 will now work on supported smartphones, tablets, and laptop/desktop computers. In-context glossary offers students instant access to definitions by simply hovering over key terms. Seamlessly integrated videos and activities allow students to watch and practice key concepts within the eText learning experience. Visit www.masteringgeography.com for more information.